Good Morning All! 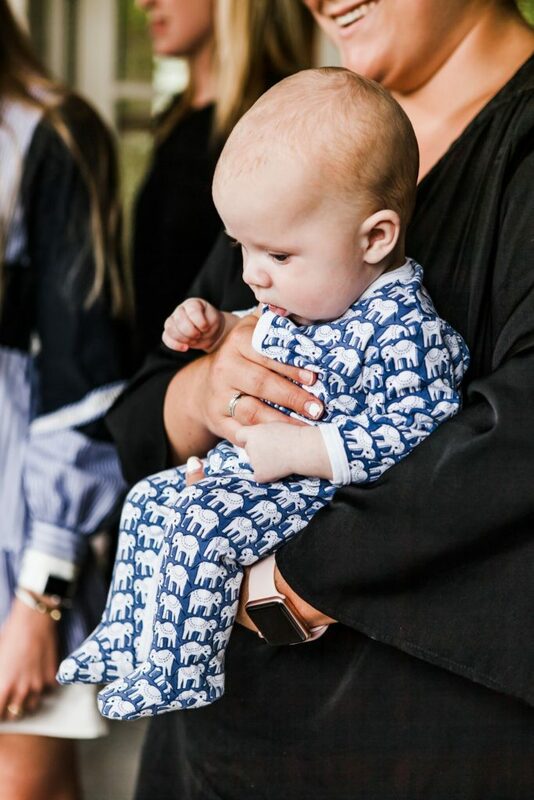 I am so excited to tell and show you how much fun and how cute the Sip and See was for my friend, Lynsey and baby Will last week. 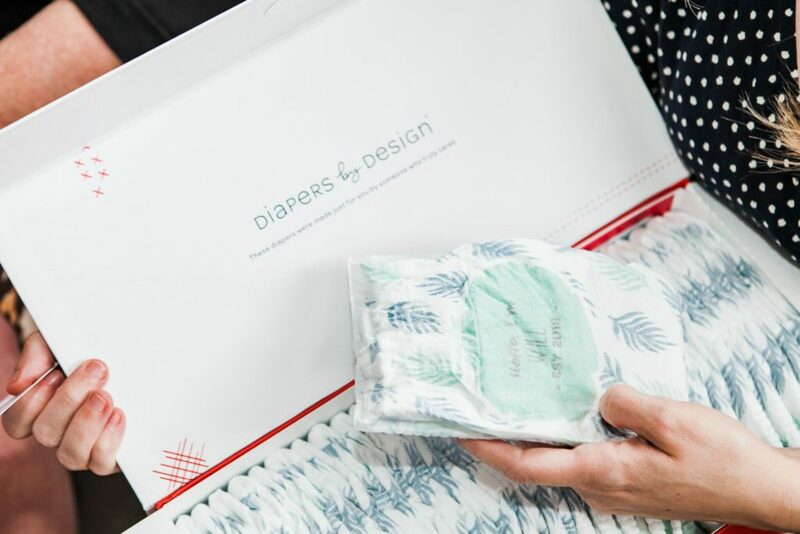 If you read this post a few weeks ago, you will remember that I flew to New York to attend the launch of Huggies® Made by You™, it’s first-ever personalized diapers. 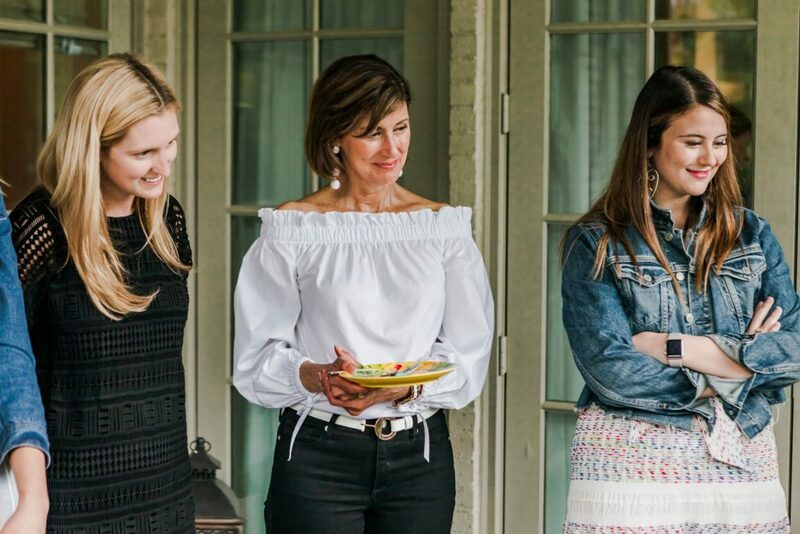 I got to see the reveal and to meet with the Huggies team and Nicole Marie of Nicole Marie Events, who is the party planner extraordinaire! 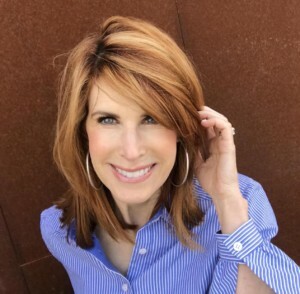 Nicole Marie is based in Chicago and has created parties for celebs and even a past president. 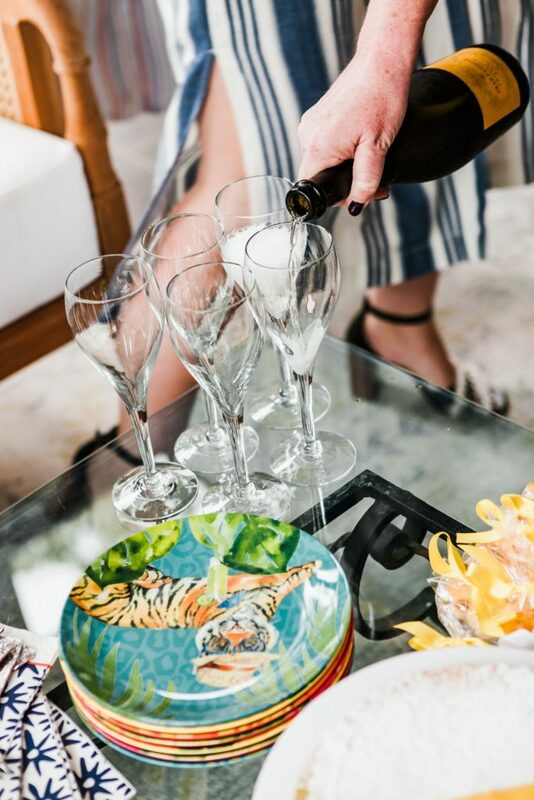 She taught the five of us there how to plan the perfect baby shower or Sip and See. Huggies introduced us to the different diaper patterns from the new Huggies® Made by You™ collection, and Nicole Marie decorated a whole area for each design. 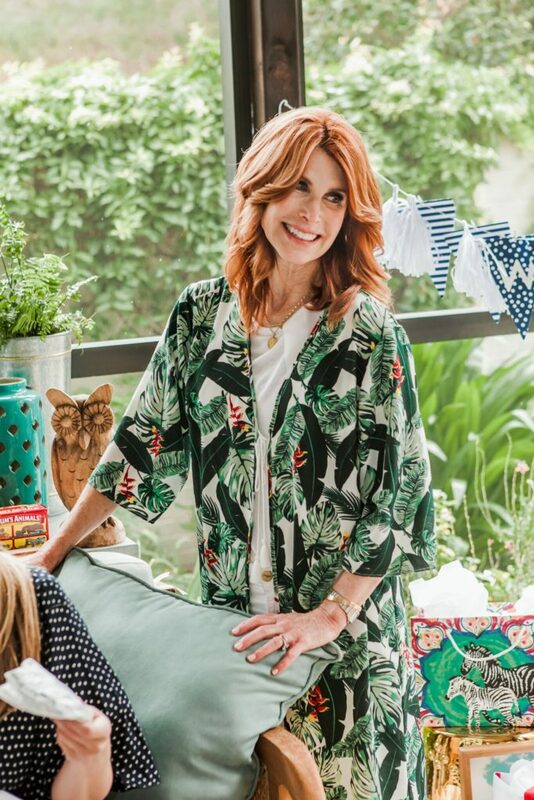 My favorite pattern was the Sweet Safari, and it was adorable (check out this post for what she did for me). 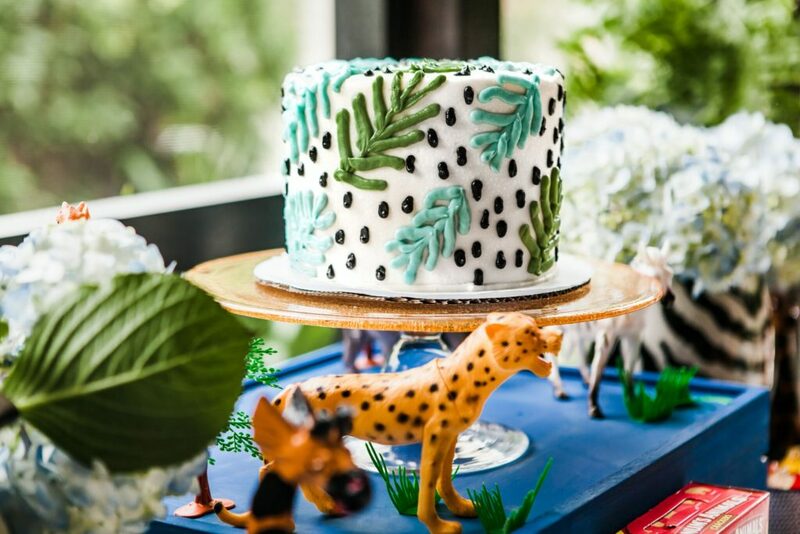 I had a “Safari” themed casual dessert and champagne Sip and See for a precious friend of mine, Lynsey who recently had her second baby, Will. Many of Lynsey’s friends had not had a chance to meet Will, so I thought this would be the perfect opportunity. Here are the photos of how it looked. It turned out to be a nice and cooler day in Dallas so I decided to move everything outside. I found the vases that looked like zebra heads (at least they looked like it to me!) at Home Goods and decided to make them one of the focal points of the table. I took the diaper pattern from the Huggies® Made by You™ Sweet Safari diaper collection that I ordered for baby Will and had Susie Cakes make the cake into the pattern. I think it turned out so cute! I found a plain wood crate at Home Goods as well and painted it blue to have the cake front and center. 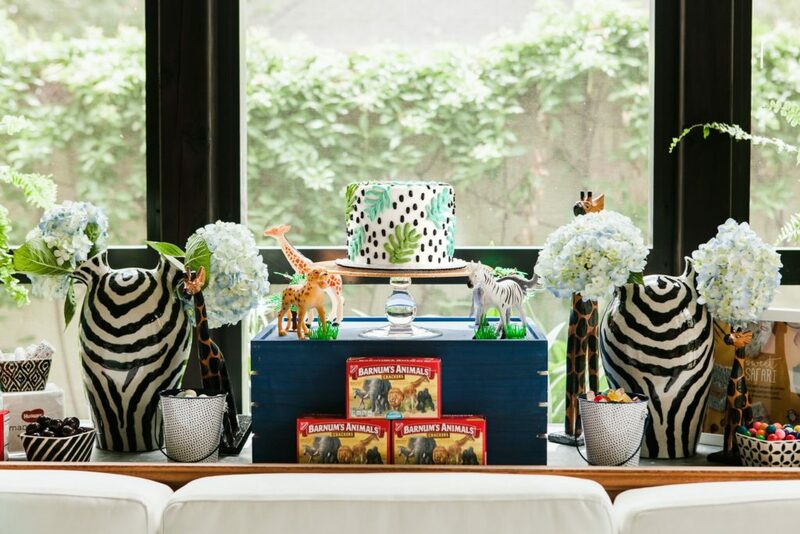 Since the theme was “Safari,” I bought animal crackers, plastic safari animals, dessert plates with cute animals on them, and a zebra platter and small bowls (from Pier 1). 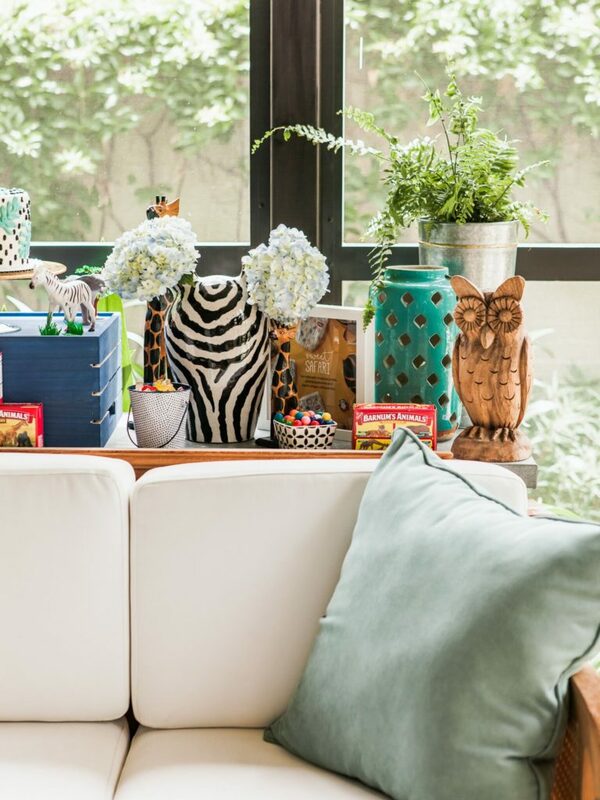 I also found a giraffe head stool to set the gifts around. 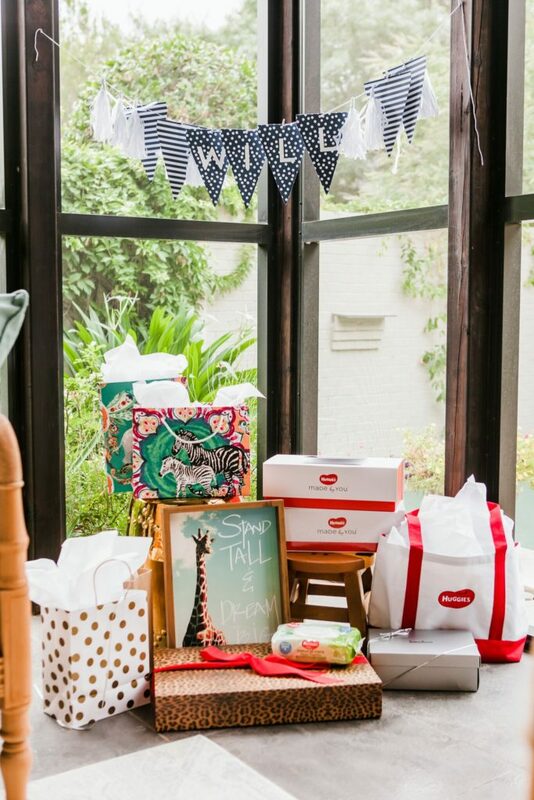 The “Will” banner was purchased at Michael’s, and I put his name on it with letter stickers. I ordered these precious safari animal cookies that came individually wrapped from Etsy. 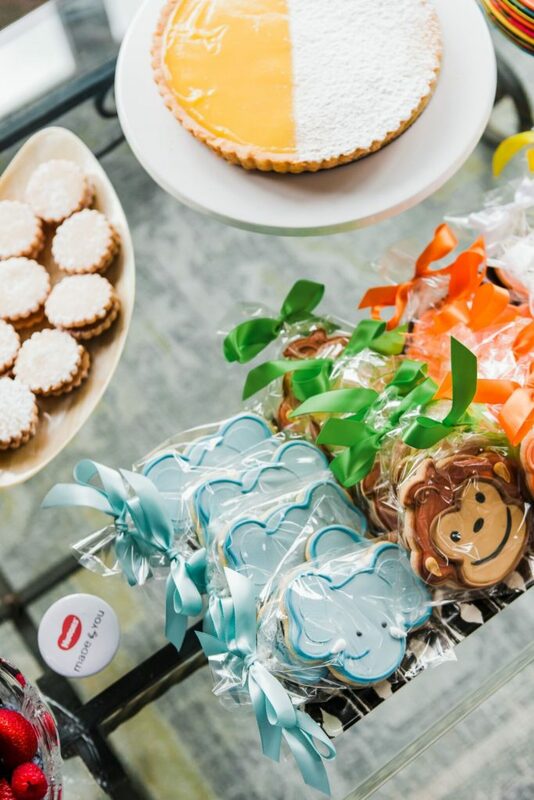 If you’re planning a sip and see, baby shower or any other event, I highly recommend choosing a theme and basing all the designs around it. 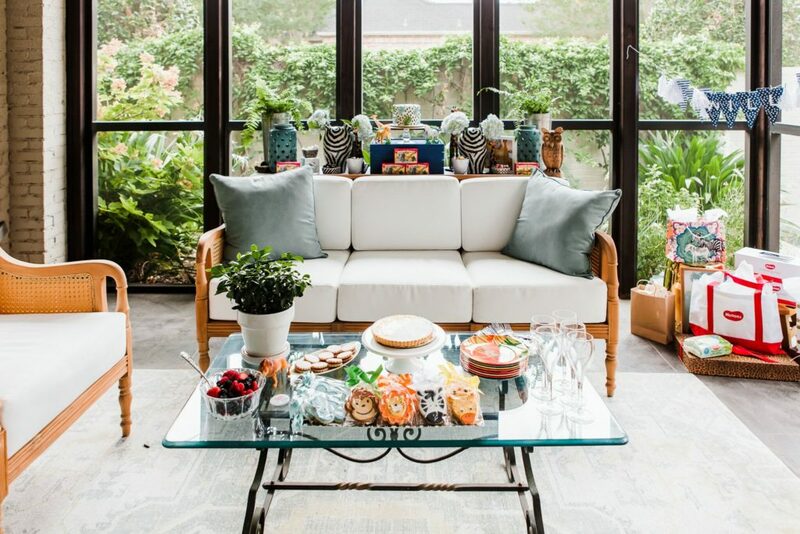 If you are hosting a baby celebration specifically, the Huggies® Made by You™ patterns make for the perfect decoration inspiration! from friends and family. Lynsey loved the personalized diapers from Huggies® Made byYou™! I am still so in love with these diapers myself! So much so, that I have ordered another set for my photographer who is about to give birth to a little girl. 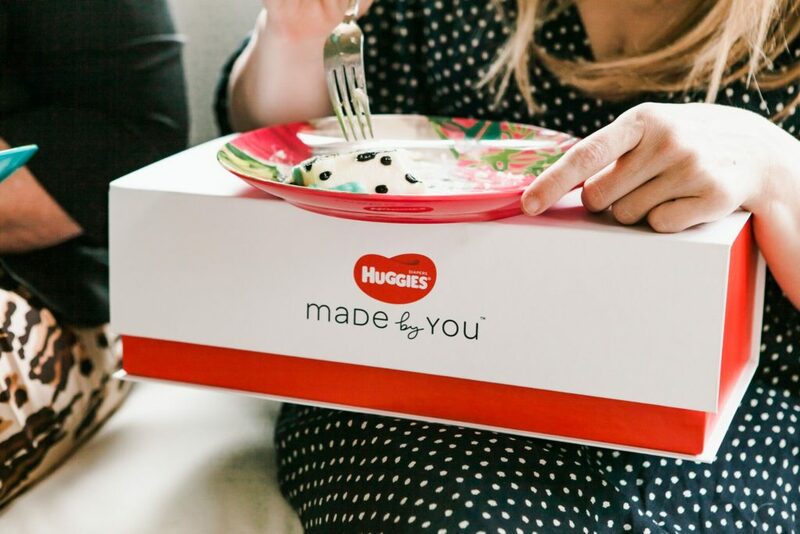 Huggies® Made byYou™ is the perfect gift that shows a family you put thought into making something special and personal but something that you also know will be practically used! Celebrating the life of a new baby is so special and with these Huggies® Made by You™ personalized diapers, you can be sure the new mama will be thrilled! THANK YOU, HUGGIES FOR SPONSORING THIS POST! HOWEVER, THE OPINIONS EXPRESSED ARE MY OWN AND ARE NOT INDICATIVE OF THE OPINIONS OF HUGGIES. Share the post "BABY SHOWER FEATURING HUGGIES® MADE BY YOU"